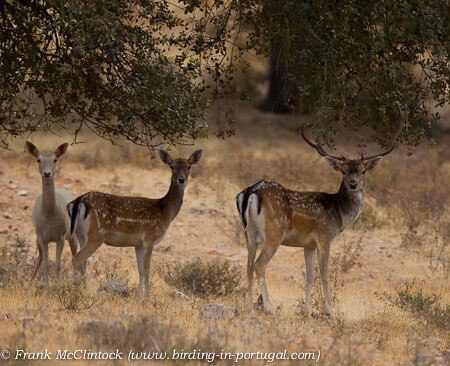 Fallow Deer 4206, originally uploaded by Paradise in Portugal. It took me by surprise a few days ago when I bumped into these Fallow Deer. A relatively rare species here as life is pretty tough on mammals on the whole and these are the largest wild mammals of the area. What was even more surprising was that one of the hinds was completely white. You can see more of the wildlife of the area on my other blog; don’t be put off by the title – it’s not ALL about birds!